Shorty – Seaside, CA | Bull Terrier Rescue, Inc.
Shorty is an awesome 1.5yo guy who was likely born with a spinal issue that was not discovered nor treated when he lost the use of his hind legs about 8 months ago. Once he arrived in rescue, he started physical, laser and water therapy to strengthen the muscles in his hind legs. He buzzes around in his donated wheelchair (thank you, Jodi Morimoto!). 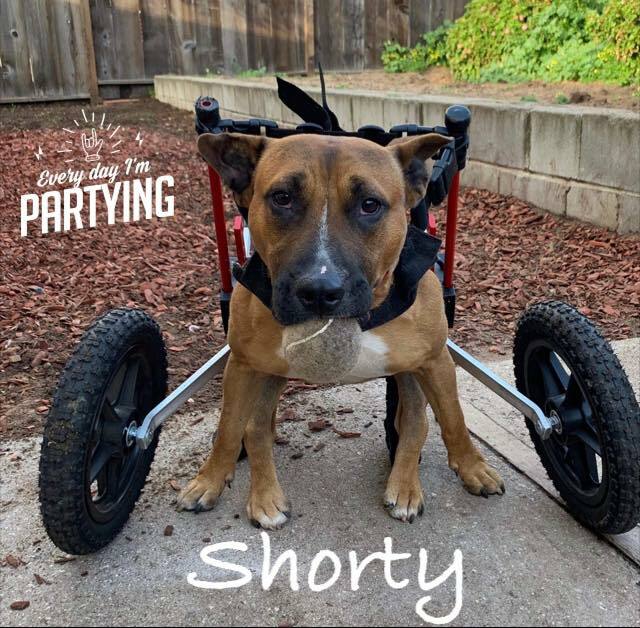 Shorty is about 45 to 50lbs…he is the sweetest guy who isn’t letting a slight disability stop his partying ways. His playstyle is rough so he is good with larger dogs on a limited basis (he gets overstimulated). He might be good with cats as their company seem to relax him a bit. Please stay tuned for news on this most wonderful guy! If you’re interested in fostering or adopting this playful and active guy, please complete our application (http://www.bullterrierrescue.org/?page_id=572). Please contact Suz at suz@bullyhaven.org or 415-672-7391 if you have any questions about this sweet guy. 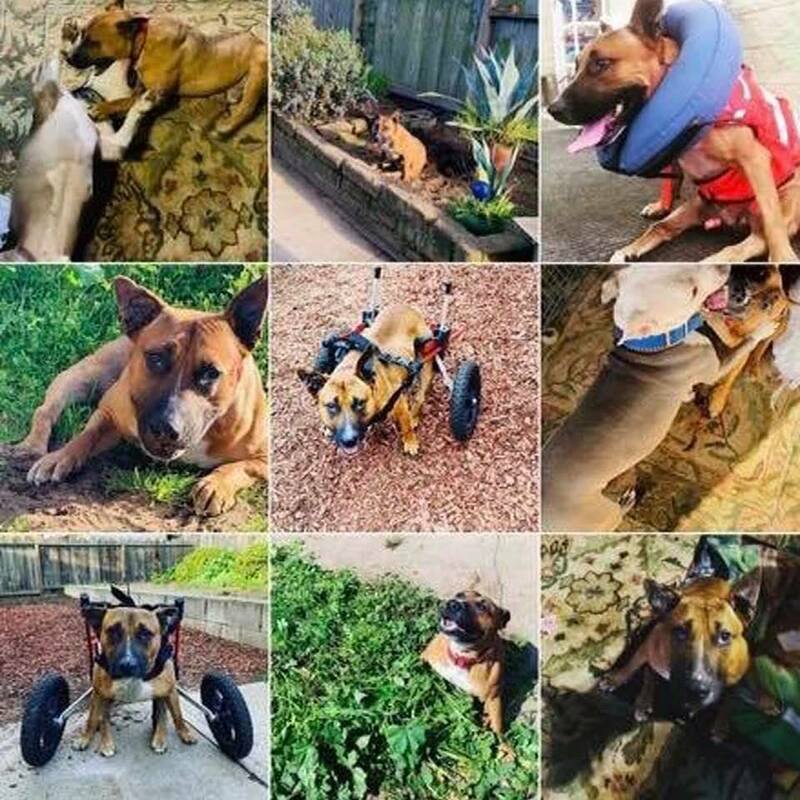 This entry was posted in Available - Special Needs, Available Dogs, Available Males, Waiting In The Wings by Susi Ming. Bookmark the permalink.